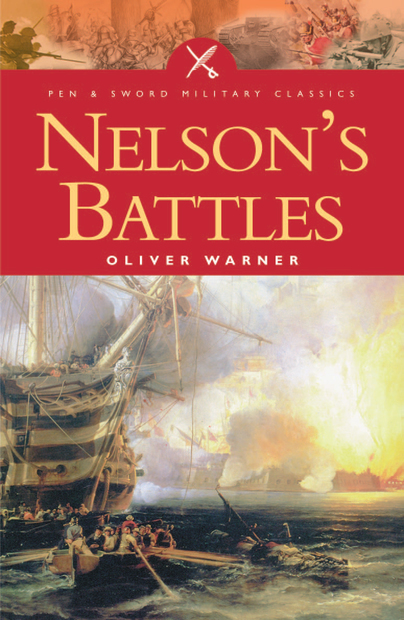 You'll be £6.99 closer to your next £10.00 credit when you purchase Nelson's Battles. What's this? Horatio Nelson was the greatest naval commander of his age. In this masterly analysis of his fighting career, the acclaimed naval historian Oliver Warner examines every battle in which he participated, but concentrates on the three in which his command as an admiral was crucial. The first was the Battle of the Nile, then in 1801, he fought the Battle of Copenhagen, and Nelson's final battle at Trafalgar. Oliver Warner is a highly respected maritime historian specialising in the navy of the Napoleonic Wars. He is the author of Trafalgar, Nelson: A Portrait, Fighting Sail, Great Sea Battles and The British Navy: A Concise History.